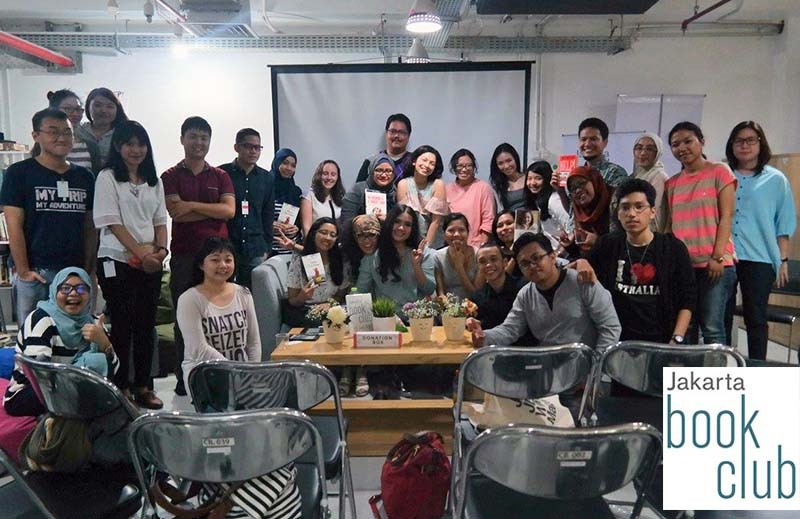 As we celebrate International Women’s Day this month, last Saturday (March 12, 2016) Jakarta Book Club (JBC) had collaborated with GEPI Lean In Circle Jakarta to talk about books on women. 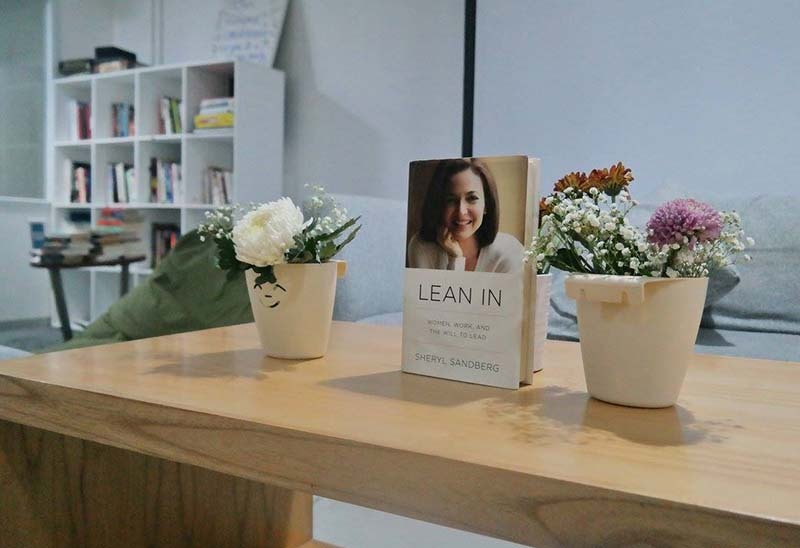 The main discussion was centered on “Lean In: Women, Work, and the Will to Lead”, a book written by Nell Scovell and Sheryl Sandberg in 2013. The two and a half hour event was attended by 35 people and moderated by JBC Officers Shirley Christie and Aulia Halimatussadiah, accompanied by GEPI Executive Director Angelyn Ardiwinata who became the guest moderator of the day. The wife of US Ambassador to Indonesia Sofia Tcherckellova Blake also attended the event and delivered some of her views on women roles in the modern society today. Mrs. Blake, who is more commonly known as Ibu Sofia, pointed out that women should be allowed by the society to keep their part in a family, as well as their professional jobs. Based on her own experience as a woman who found it difficult to go back into the workforce after ten years of career break, she believes that it requires full support from the society. “We are on the right track, but let’s make the journey (toward a more equitable gender workplace) more enjoyable for men and women,” she said. 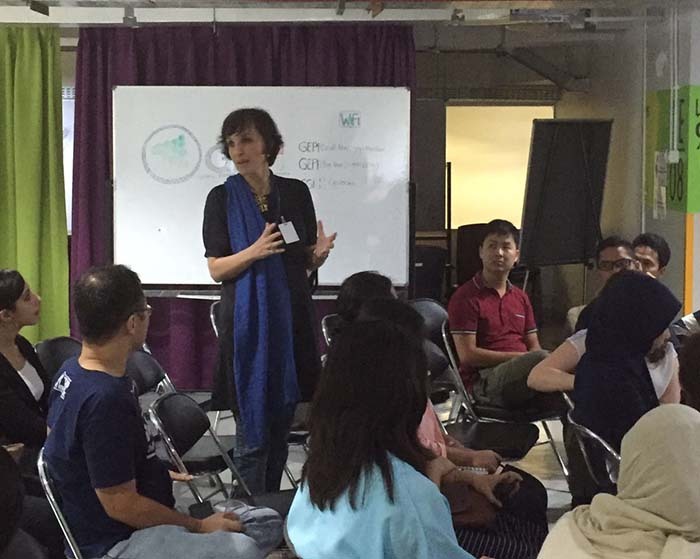 Ibu Sofia is also the co-founder of 6×6 Women in Action, which brings together 6 Indonesian women with established or growing community enterprises in order to strengthen their work and facilitate across-sector collaboration. After that, Alexis Brille, a female DJ and performer, shared her story on how she changed the course of her career until she became a singer, DJ, dancer who performs on big local events and national television. From the “Lean In” book, Angelyn said it thought her about the importance of choosing the right partner in life who can support her career as well as share duties at home. Apart from “Lean In”, the three other books being reviewed were “A Room of One’s Own” (Virginia Woolf), “Pending Emas (Golden Belt, written by Herlina), and “Letters of a Javanes Princess (R.A. Kartini)”. The event was closed with book auction, book swap, and a networking session. Jakarta Book Club is a casual book club started by Shirley Christie in 2010, out of her desire to find more friends who can share her passion in reading. 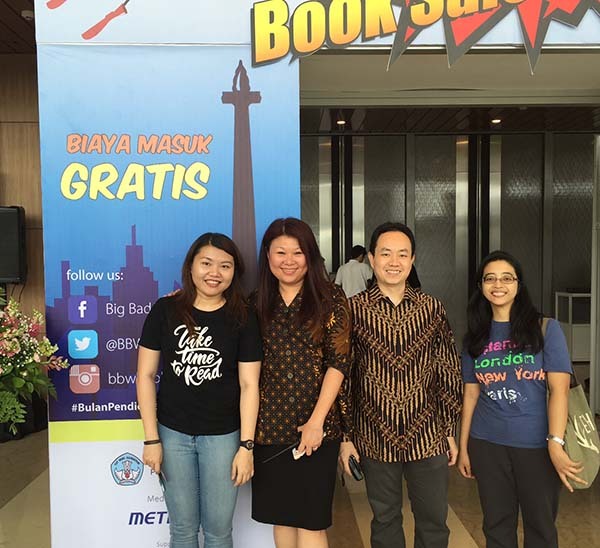 The book club was supported by Kinokuniya Indonesia for a while, but the difficulty in finishing one book at the same time and lack of technology to reach the mass had put the book club into a long break. In November 2014, the book was revamped with the help of two friends and book lovers, Aulia Halimatussadiah and Dina Sandika. Other than having a regular monthly gathering, JBC has been invited to participate in several book festivals, like Ubud Writers and Readers Festival and Festival Pembaca Indonesia (IRF). As an independent book club, JBC currently has more than 1,100 members on Meetup.com, supported by solid followers on social media.